Back in October, 2014 we updated our King James Version text. 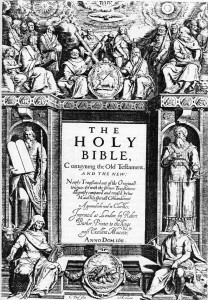 We had taken some criticism for publishing a low-quality edition of the text which couldn’t seem to be traced back to any known edition of the KJV. When we published that version, we intentionally left out the “words of Christ in red” feature, because the whole goal was to get to a pedigreed version of the text and red letters were not a part of the KJV text until relatively recently. This didn’t go over well with folks who rely on red ink to know when Jesus is speaking. So we did more research to see if we could come up with an “authoritative” red-letter edition of the KJV on which to base our editorial decisions. To our surprise, we found one. Right away they discovered that the KJV contains no quotation marks to delineate those words spoken by Jesus and separate them from those of the narrator or other characters in the story. 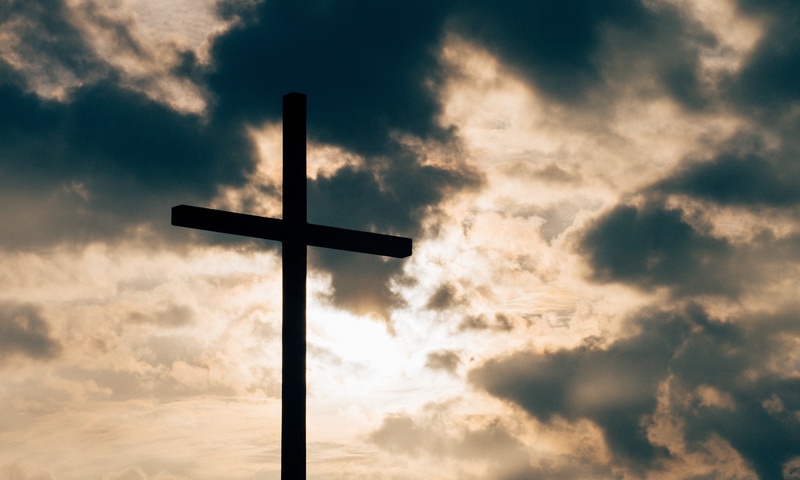 It also occurred to them that there are instances in the Old Testament where it is believed that Jesus appeared to the Old Testament saints and spoke to them. Should those words be in red? What about the words of Jesus when spoken by others in the book of Acts or the epistles? Klopsch had to make a few choices (such as in John 3:16ff) about where Jesus’ words end and the narrator’s begin. He opted to omit Old Testament christophanies, but to include New Testament quotes in red. The first red-letter New Testament was published in 1899, and an entire Bible, containing the red-letter New Testament, was published in 1901. 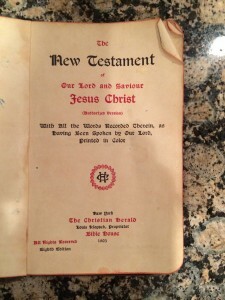 Laridian was able to obtain a 1903 New Testament and a 1913 whole Bible, each with Klopsch’s original red-letter text. The New Testament claims an 1899 copyright and the whole Bible, 1901. From these well-used pages we manually marked up our electronic text to indicate the words of Christ. Soon after publishing our updated KJV last year we realized that the text we had worked from did not contain paragraph indicators of any kind. With a little effort we were able to find a source of that information that is consistent with the age and quality of the text itself, and have integrated that information into our text. The King James Version has historically been printed with each verse starting on a new line, and a pilcrow (¶) marking the start of a new paragraph. We have followed that tradition, which means that in versions of PocketBible that allow you to display the text in paragraph form or one verse per line, you will always see the KJV text presented with each verse starting on a new line. While some might argue that this format is jarring to the modern reader, we would point out that that KJV itself is “jarring” to the modern reader. We think there is great value in upholding the publishing traditions that add to the unique character of the King James Version of the Bible, and are very happy with the results of this effort to update our version of the text. Most PocketBible users will see a note on the “Add/Remove Books”, “Cloud Library”, or “Download Books” screen in PocketBible to the effect that the KJV and KJV with Strong’s Numbers texts have been updated. Select the updated product to download it to PocketBible. Windows Desktop users will have to download the setup program for the KJV or KJVEC from the Downloads area of our website. Actually I have come to believe that red letters have done great harm to the church as they seem to suggest that some of God’s word is more important than others. I always turn red letters off and am glad for that feature in PocketBible. I had no clue that is the genesis of the red letter editions. Very interesting. Still cannot read the KJV, no matter the color. I actually do better with Young’s Literal vs. the KJV. I’m not KJV-O, but I do use the KJV as my primary translation. I appreciate the work you’ve put into making the best possible version of the KJV in electronic form. This project took a lot of work and a great attention to detail. It hasn’t gone unnoticed. Thank you! While I don’t read the KJV version I’ve found that there’s one thing it did that we’re missing in all other English translations I’ve seen. A distinction between singular “you” and plural “you”. Thee/thou/ye served a purpose and I wish modern English translations would develop a convention like using italics or small caps to indicate plurality for those words where it’s clear in the Greek/Hebrew but unclear in English. In the south they could just use “y’all” I guess. 🙂 There are verses where “you” appears multiple times with different plurality and there’s a subtle differences in the meaning depending on which is which. Previous PostPrevious Does It Matter Where Your Bible App Comes From?